Excellent analysis, Phil. Extremely thought provoking. Enjoyed reading this article - you raise some important points. The focus on simplification is a key one, and a major challenge for the industry. There is short term gain to help enterprises simplify, but where is the revenue for providers after that? Very good insights. I like how you have articulated as-a-services as a continuum from the current outsourcing model, as opposed to something completely new we have to invest in. Well said Phil! Excellent article. Hi Phil, extending Brian’s billion dollar question. While I agree that the money will be made where the value is created, but given that the investment needed is long term in nature and the typical outsourcing contracts are mostly 3 ~ 5 years. 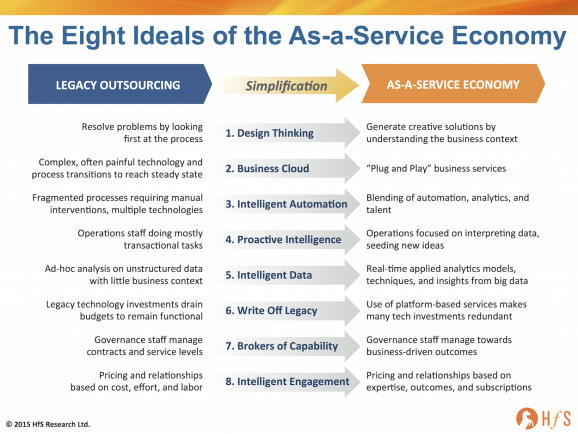 How do you see service providers and clients committing to it. Second part of the question. Unlike a B2C scenario where many new players have challenged the industry with disruptive innovations – e.g. Uber, In outsourcing service that is B2B, how can a new player remove the huge entry barriers. The earlier wave of labour arbitrage outsourcing was a result of a major disruptive development – the undersea fibre optic cables. What’s the next big thing in future. Phil, Great article and a spot on analysis of the changing landscape of BPO, at least from a personal perspective. I would go one step further and add that a core part of 'simplification' is actually specialisation. Why don't Marketing agencies wrestle with the same broad industry branding challenges outsourcing providers face? They are an outsourced function, just like Finance, HR, IT. They are responsible for managing billions on behalf of their clients. 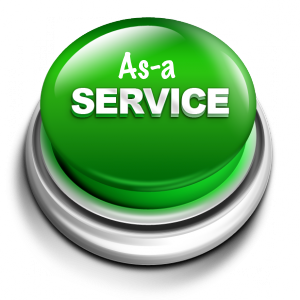 They are service oriented, with a focus on delivering functional/corporate goals. Marketing agencies’ work is highly visible, their impact is felt across the business. They have progressively moved the discussion from workloads, quantity of outputs, ‘cost-per-million’ to customer journey, brand equity, shareholder value. They are able to deploy specialists into the client’s world, at the right time to focus intensely on that area, then move on again. And finally, in a lot of cases, they have been successful in moving from back to front office support – it is just as easy for a CEO to buy / work with a marketing agency as it is a CMO. Phil, back to your article – the two critical differentiators between a marketing agency and a BPO provider are fundamentally the (a) operating structures and (b) the creative culture that empowers everyone within the agency organisation to understand value from the client’s perspective. It is this understanding of value that enables each of the specialists to better craft ideas, present new insights and offer new ways of working – not just follow a process flow for doing the same thing, faster. Why raise a ticket, if the event can be avoided completely but still achieve (or exceed) the desired outcome? In regards to monetising this model, yes – it will take a long time for established BPO providers to turn their mighty machines around and realign with this trend. But the risk of not doing so increases each year as more and more specialist service providers, challenger companies, enter the market – and large corporates start to look for value-additive partners, not just process managers. Articulation of the topics first-class, I really enjoyed the article and contents surpassed my expectations of depth and inclusion of things that mattered. Yes, we continue to march towards this particular economy and as new technology makes quick work of old processes, in a true Microsoft fashion consumer requirements continue to grow as with expectation. I believe it's impossible to accurately predict when everyone will function in a similar manner. Where our breadth of offering matches the demand of new services. look at the bundling of technology offering from a legacy telco as an example of either utilising your customer base in a different way or safeguarding new revenue stream as competitors disrupt. We have a long way to go, flexibility and innovative mean more than ever before!